In Time To Pet - we make sure you can communicate with your clients the way they are used to. Whether that’s email, text message or Client App notifications. You can also share real-time updates after each visit complete with pictures and a Visit Report Card! These days, your clients expect to get their updates the way they want. 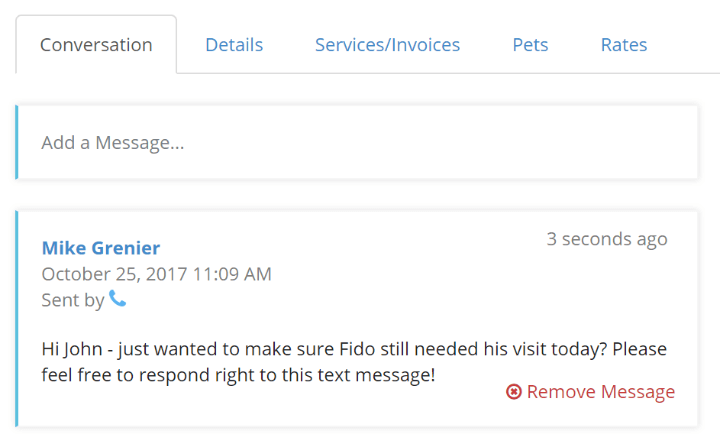 Time To Pet makes it simple to send updates via email or text message. Text Messages are sent using your company texting phone number and clients can respond directly to the text. Their response is automatically captured and added to their conversation feed! 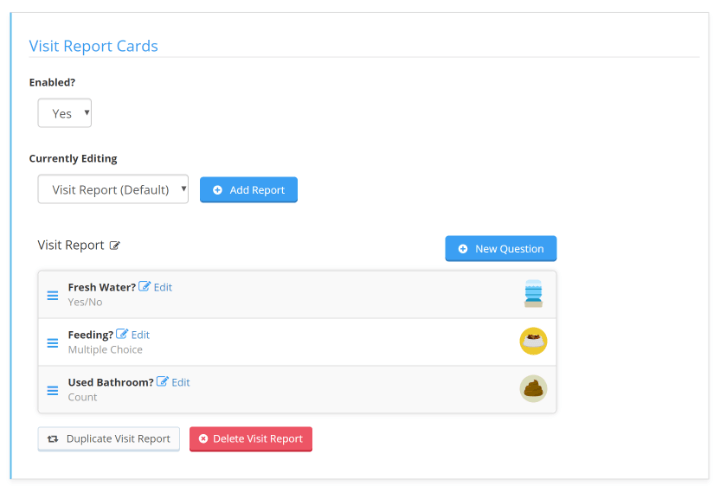 You can create a custom set of questions that can be answered by your staff members after each event. The answers to these questions along with some fun icons can be sent to your client along with any notes or pictures that have been included! 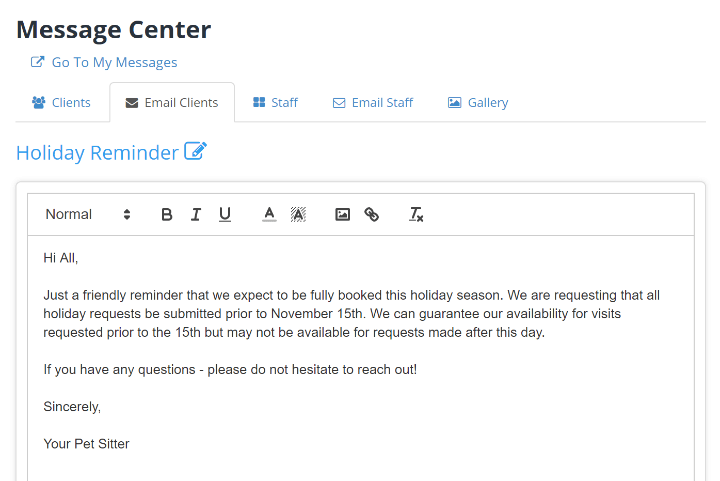 Creating and and sending a bulk email campaign to all of your clients at once is simple in Time To Pet! Want to announce a new hiring? Or send out a monthly newsletter complete with images? Time To Pet makes email campaigns easy. 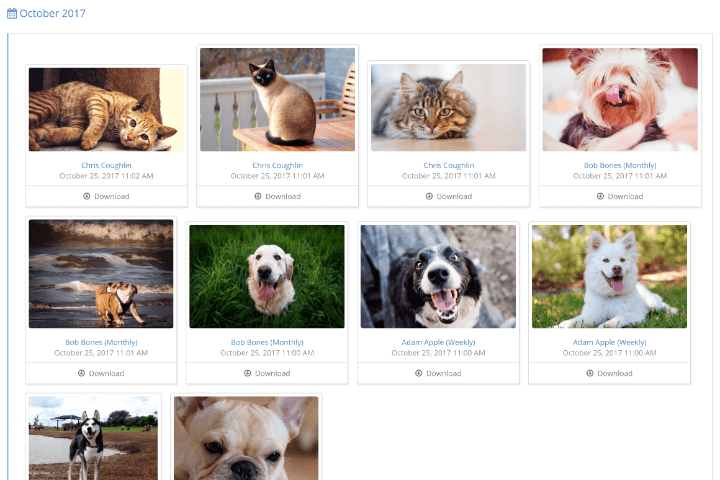 The Gallery inside of Time To Pet allows you to see all pictures that your team members are sending your clients. See one that is really great? You can download it to share on your social network of choice! As your business grows, you may want to review the messages your team members send to your clients. 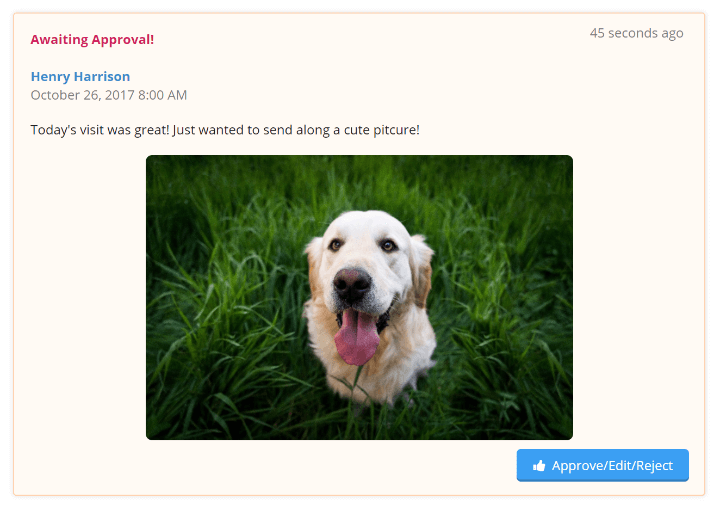 Approvals can be enabled for specific roles (like trainees only) and an admin can edit messages and adjust pictures before finalizing and sending to the client.